Your floor is personal. So are our services. Don’t wait for your budget to catch up to your dreams! We hear a lot from people who really want to get renovating, but just don’t have the budget for it yet. 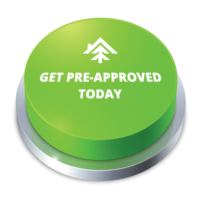 With a wide range of financing options available, you don’t have to wait to get your job started. Click the button below to see if you pre-qualify! Overwhelmed by the amount of information and products available? Stuck between two ideas? No idea where to start? No problem – Our Sales and Design Consultants are here to help! No appointment necessary – come down to the showroom during business hours for a free interior consultation and we will set your project off on the right foot. We use only the best installers in the city and are very proud of our installation team. They are proficient, neat, hard-working, and trustworthy. Our installers are fully capable of putting together your project – from shower systems to hardwood stairs, carpeting to tiling, they really can do it all. Book a free, no-obligations consult with one of our on-staff designers today! Please fill out the form below with your preferences and we will get back to you during business hours.